Just when you thought we successfully rounded off our list of titles for The GO Malta eSports Festival 2017 with our last update, we're here bringing news of yet another game; Tekken 7. An extremely prolific fighter to hit the genre, it's safe to say that it's been a moderate success around the world; shaking all expectations set for it. Keep on reading to find out more about this curious addition to the greatest event of the year. Before continuing onto the reasoning, let's first give some background to the game itself. Developed by Bandai Namco, it's the ninth installment in the world of Tekken. The deep lore and storylines coincide with fast kicks, punches and combos. Timing is essential, movement is key and strategy is mandatory to be able to success. Having a massive reception towards the east of the world, it had a lesser-so presence everywhere else. Although it's two years old, the mechanics remain pure an perfect to determine who the better fighter is. Why did we choose to include it for the event? There are a few reasons why. Starting with the most persuading one, is the huge amount of support we got from the Games Weekend at the Airport Food Court which was held last weekend. Seriously, the amount of people that came out was astounding, increasing tension and competition along with pressure. The intense, fast-paced action which Tekken 7 brings to the table was married nicely to the delightful fast food which was available a few metres away. 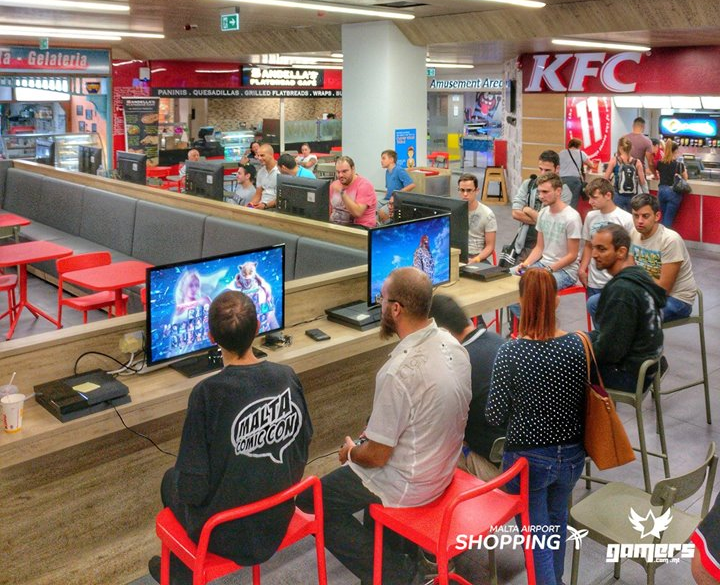 Following this enthusiasm, we simply had to involve Tekken 7 in our next event. Another reason, which in a way folows up to the previous one, competitive figthing games are practically absent in the local scene. Gamers.com.mt is willing to give Tekken 7 a chance to be loved by the local community, it being the first fighting game to be involved competitively in one of our official events after an absence of five years, that's right since the first Malta eSports Festival! Setting the bar is what we strive to do, when it comes to Maltese eSports, and we believe that giving fighting game enthusiasts a chance is part and parcel of this mission. Of course like any other event, prizes will be included alongside trophies. As you'd expect, the prizes won't be the largest at the event, but that doens't imply we're giving out lunch money either. The designated tournament will happen on the last day of the event, being the 26th November in the Consoles area. Competitors are to bring their own controllers and are responsible for their care, just like all the other console esports. If you're involved in a more high-stake tournament, or you are a bystander still looking to participate in a casual tournament, we strongly recommend taking part in Tekken 7. Who knows; you could be the best? The scene is still making a comeback, so rising to the top and setting an impression will definitely be important. Gamers.com.mt aims to try bring the game into the spotlight, because we believe in its future. Including the title is quite experimental. We hope that you share this support, which will be present in the amount of participation in the upcoming event. This one's for all those local fighter enthusiasts that never got the chance to shine.